One of my favorite ways to eat vegetables is tempura. It really isn’t a difficult way to fix them, however, it can be a bit messy. That is what makes it so much fun to let the kids help with some of the stages of fixing this yummy vegetarian meal! I first use a large pot and pour in an entire small bottle of oil. I have used vegetable oil as well as canola oil. Save the plastic bottle as it’s a great way to pour the used oil back in once it cools and dispose of it. Begin heating the oil on high heat. Make sure to keep an eye on it, as you don’t want it to get to hot! I then begin preparing all my vegetables. I tend to like using broccoli, cauliflower, carrots, and onions. With the carrots, I like to get the mini carrots and then split them in half lengthwise. For the onions, I tend to make larger chunks almost like onion wedges. I let my older child help with this step and the younger one helps with coating the vegetables in the tempura mix. I tend to use the tempura mix that you can buy at the grocery store. I follow the directions to make it, I don’t always use all the water because you want the mixture to be thick so it adheres to the vegetables. Make sure you use the coldest water possible. I’ve taken water and placed it in the freezer for a few moments while I have prepared my vegetables to get it colder. Once the mixture is ready, place your vegetables in the bowl with the tempura mixture and coat heavily. Place the coated vegetables in the hot oil and cook until the coating starts is just started to color. Remove and let drain on paper towels. Serve these veggies with either Teriyaki or Soy sauce for dipping! 1 bunch of broccoli, trimmed to just use the florets. 1 bunch of cauliflower, trimmed to use use the florets. 1. Place your oil in a heavy large pot and begin heating on the stove on high heat. Keep an eye on it. 2. 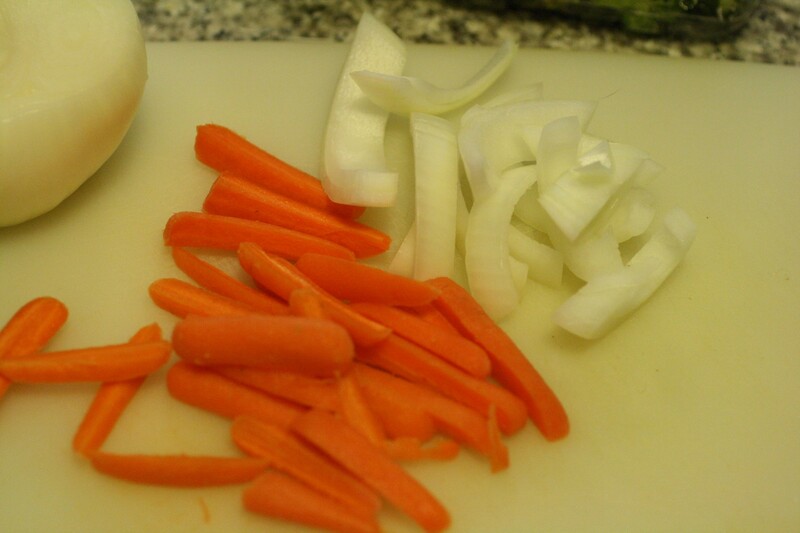 Prepare your vegetables by cutting the carrots, onions, and preparing the broccoli and cauliflower. 3. Mix up the tempura mix according to the directions on the box. 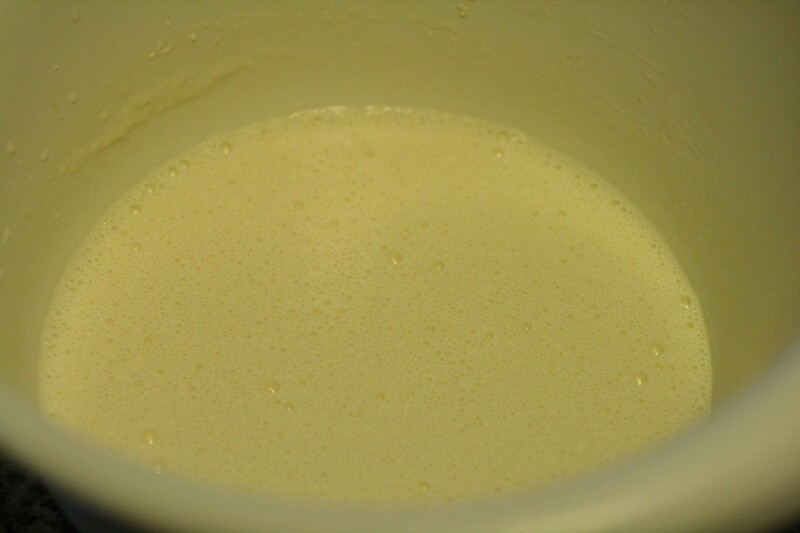 Reserve some water and add until the mixture is well combined but not to thin. You want it thick. 4. Coat vegetables and place in the oil. Fry until the coating just begins to turn a pale brown. 5. Remove and let drain on a paper towel. 6. Serve with Teriyaki or Soy sauce for dipping. 7. Once the oil is completely cool, using a funnel, pour the used oil back into the container, seal and dispose.